New Executives to Kentucky will be held on September 6th, 2018! If you'd like to recommend yourself or a great New Executive to Kentucky to participate in this FREE, day long program: click here. New Executives to Kentucky highlights signature Kentucky experiences and thought provoking discussions about exciting opportunities in our Commonwealth. The one day, complimentary program is designed for senior level executives, and their spouses, who have transferred into the state during the last two years. Participants connect with Kentucky’s best minds in government, business, and industry. The day includes tours of Kentucky’s signature bourbon and horse industries, discussions on Kentucky’s economic outlook, public policy challenges, and dinner at the Governor’s Mansion. In collaboration with the Office of Governor Matt Bevin and the Cabinet for Economic Development, this is a one-day immersive, exclusive, and unforgettable introduction to the Commonwealth of Kentucky. 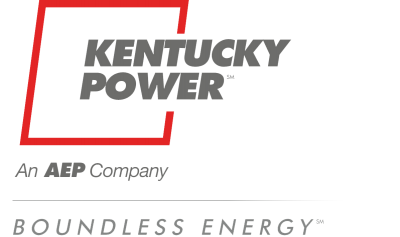 The program includes behind the scenes tours of some of Kentucky’s signature industries, access to top thought leaders, and an invitation to dinner at the Governor’s Mansion. The New Executives Program is designed to introduce you to Kentucky’s history, economy, and to other leaders like you who will help shape its future. This is an invitation only event and is free-of-charge thanks to our generous partners: US Bank, LG&E-KU, Stites & Harbison, UK Healthcare, Anthem BlueCross BlueShield and Kentucky Proud. If you are a senior level executive and new to the state and would be interested in attending, email us at lky@leadershipky.org. For a sampling of the 2017 New Executives to Kentucky agenda, see image below.